VICTORIA – New documents released by the B.C. 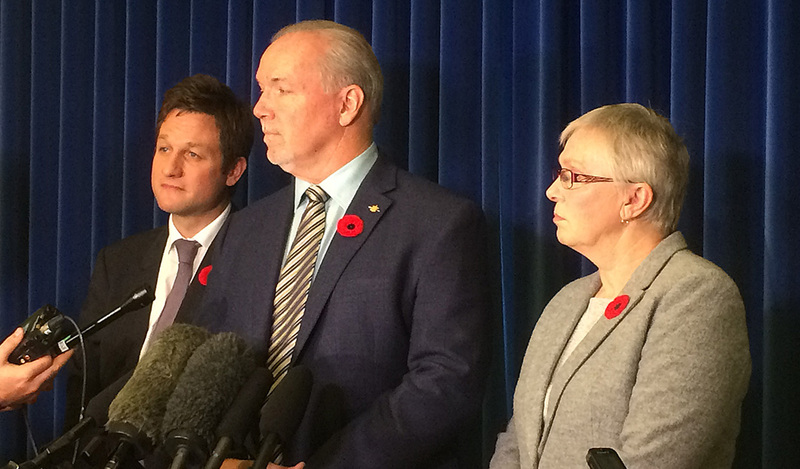 New Democrats show that Christy Clark’s government is making up excuses for why they are indefinitely delaying school seismic upgrades and putting hundreds of children’s public safety at risk. “When the Christy Clark government told school trustees, parents and kids in Greater Victoria and Port Coquitlam that their scheduled seismic upgrades were cancelled, they said it was because it didn’t fit with their enrollment requirements, despite hundreds of kids being enrolled in the schools,” said B.C. New Democrat leader John Horgan. “Our documents show that those enrollment requirements that they used as an excuse don’t exist. It was pure fabrication. In 2013, days before the election, Premier Clark promised students, teachers and parents at Shoreline Middle School in Greater Victoria and Minnekhada Middle School in Port Coquitlam that these schools would be seismically upgraded in 2014-15. The premier failed to deliver on her promise and both schools are still waiting for the necessary upgrades.